The Secret Dreamworld of a Vintage Girl: The Look I Love. It Could Only Be....California Cottons! The Look I Love. It Could Only Be....California Cottons! Every time I go on a vintage expedition I struggle to contain my eagerness in the hope that I might find a hidden gem in those many rails, that distinctive orange or white label with the jazzy font and stitched sombrero perched on the 'C'. I am talking of course about California Cottons. This brand, in my opinion is equal to that of Horrockses. I am pleased to say that I have formed quite a collection of this brand, in various styles and patterns, although most are of the drop waist variety. It seems to be a trait although looking at the adverts, the dresses were available in the pencil skirt and circle skirt styles. 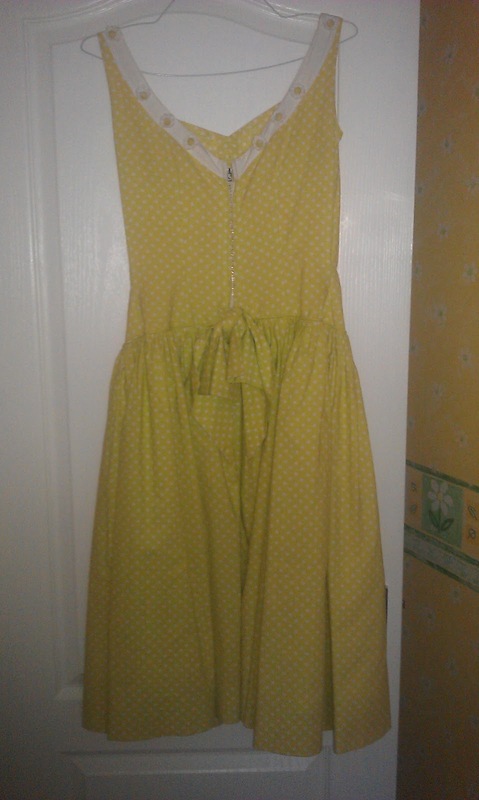 My First California Cottons Dress! 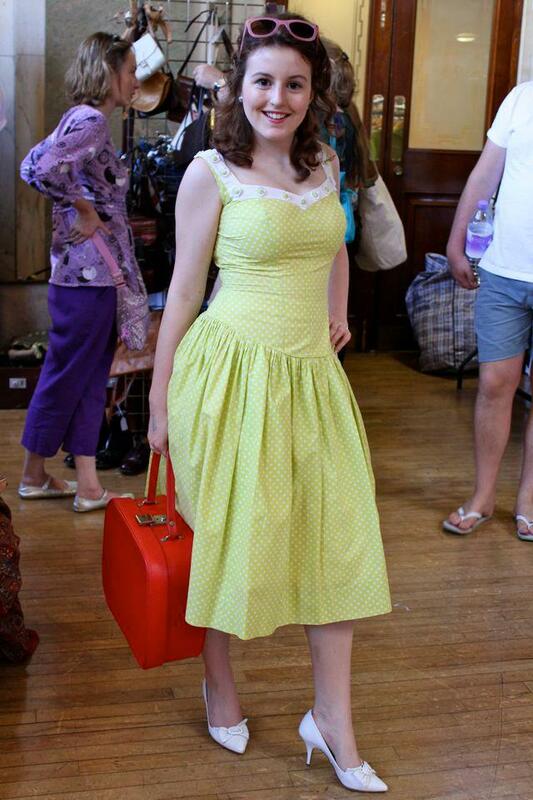 I bought my first California Cottons dress at the Vintage Festival 2011 on the first stall I visited and I am so glad I did. As soon as I saw it I loved the quirkiness of the colour and design, the patterns are generally very distinctive, this particular dress has daisy buttons on the bodice and a cute little bow at the back which pops up when the zip is pulled. Most California Cottons dresses contain an orange label however some have a little white label instead. Whether this is an indicator of age or era is unknown, but I would assume so. 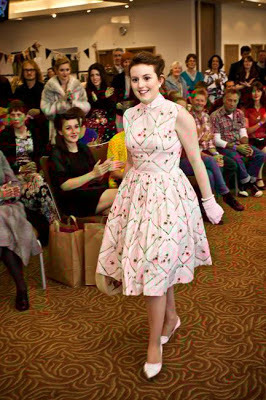 I also own two pink floral dresses (same pattern but different styles) navy with white stripe, blue and pink floral (from Mela Mela Vintage in Teddington) and my prize winning pink dress with the small collar (BEST DRESSED at Festival of Vintage Epsom 2012) which I bought a week before the event! I would love to hear from anyone who owns a dress by this label or anyone with information on the label. I'm hoping to extend my collection so if you are interested in selling, please contact me!